LPS released their Mortgage Monitor report for July today. According to LPS, 7.03% of mortgages were delinquent in July, down from 7.14% in June, and down from 7.80% in July 2011. LPS reports that 4.08% of mortgages were in the foreclosure process, down slightly from 4.09% in June, and down slightly from 4.11% in July 2011. • 1,960,000 loans less than 90 days delinquent. • 1,560,000 loans 90+ days delinquent. • 2,042,000 loans in foreclosure process. For a total of ​5,562,000 loans delinquent or in foreclosure in July. This is down from 5,663,000 last month. 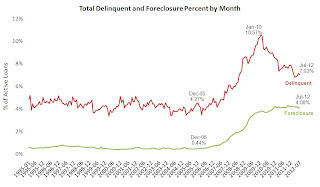 This following graph shows the total delinquent and in-foreclosure rates since 1995. 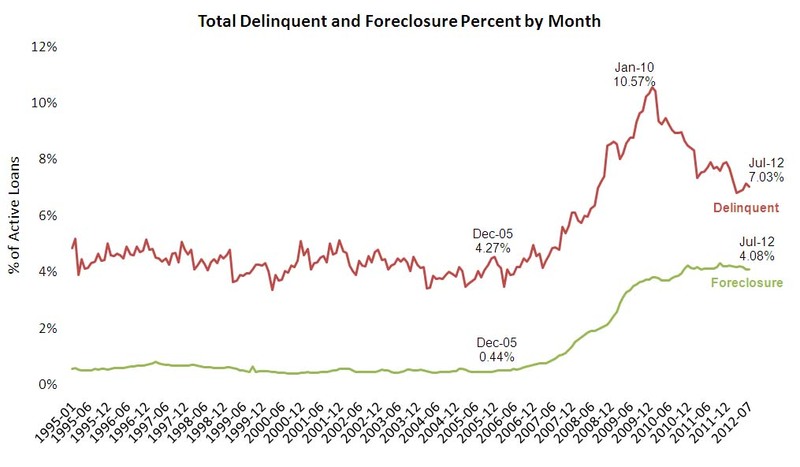 The total delinquency rate has fallen to 7.03% from the peak in July 2010 of 10.57%. A normal rate is probably in the 4% to 5% range, so there is a long ways to go. The in-foreclosure rate was at 4.08%. There are still a large number of loans in this category (about 1.96 million). 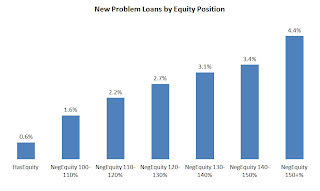 The second graph shows new problem loans by equity position. 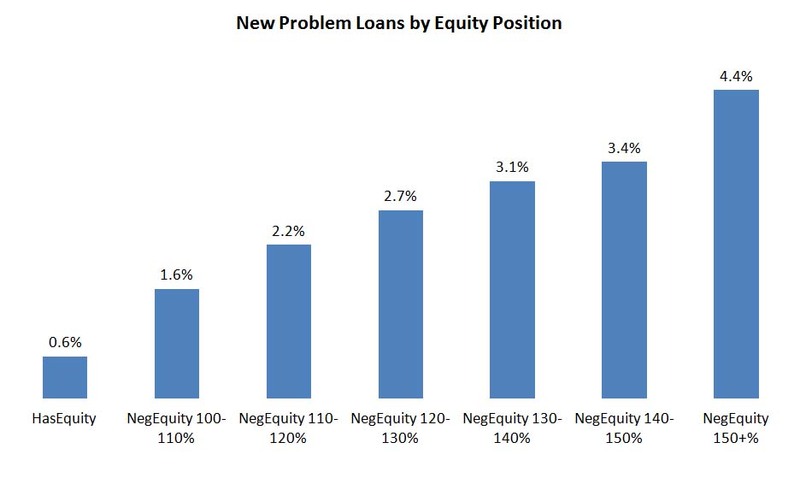 “The July mortgage performance data shows a continuing correlation between negative equity and new problem loans,” explained Herb Blecher, senior vice president, LPS Applied Analytics. The third graph shows percent negative equity by state.